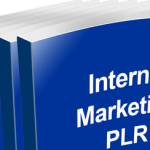 In this guide, I will show you how you can make money online from information marketing. I’ll also show you how I made over 3 Million naira from selling very simple information products online. Anybody can start information marketing business and grow it to any level. All you need is knowledge and dedication. 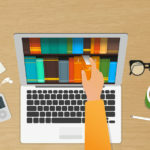 These information products can be in the form of ebooks (PDF) which is the popular one, it can in the form of video tutorial, it can be in the form of audio book or podcast, it can be in the form of apps, it can also be in the form of slides. How I made over 3million naira from selling very simple information products. Like I promised you, let me share with you how I made over 3 million naira in 18 months from selling a simple information products online. In 2013, I created a blog called mypastquestion.com. There I simply package exam past questions and answers and sell to candidates who are preparing for exams. There, I have past questions for post utme, jamb, waec, NECO, GCE, Scholarships and job interviews. Could you imagine, there is no single day that I will not sell something on that website. The amount for each item is cheap (most of the product is just N1,000 only) but people who needs the information are many. In have a very good customer service there and that’s why I made more sales. That was just to show you that I’m good at this information marketing business. You too can start your own information marketing and make money from it. There are many reasons why information products rock! In fact, its the best business you can start if you are a job seeker. These are the major advantages of starting information marketing in Nigeria. (1) No or low budget for Product Creation: Unlike many other business, you can seemingly create an information products without spending a dime. It doesn’t cost anything to compile a list of resources and sell to people who needs them. A friend of mind compiled and sold “list of products for new born babies” He even went ahead to make even more money from Konga Affiliate Program because he embedded affiliate links on where to buy those products. He’s selling this product for N2,000 and he make at least 3 sales a week. What this means is that you can sell virtually any type of information products especially there are people who wants to buy them. And fortunately you don’t need any money to create the product. (2) It can be delivered Anywhere Anytime: Unlike any other types of business or products, information products can be sold to anybody at anytime. Once the user buys the product, a download link is automatically delivered to the buyers email address and they will download the product. They don’t need to call you and you will be making your sales under day or shine. (3) Large Profit Margin: There is a very large profit margin with information products. Considering the fact that you have not invested anything in producing it, so you’ll virtually make over 1000% sales profit. Information marketing business is fully scalable. Meaning you can do it at any level – as large as possible or as small as you can control. Generally, there is a serious profit margin in this business. (4) Few Staff Members are Needed: Just like autopilot business, information marketing business runs itself just after rendering it. Its an automated business that makes money on its own once you automate it. In this case, you don’t need more staffs to run your business. All you need is to sit back and track your performance while you tweak more profitable marketing strategies. (1) PDF: PDF is a short form of portable data file. It’s usually opened by acrobat reader and other compatible applications. 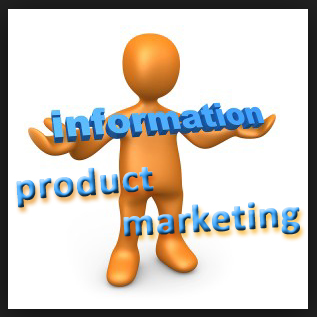 This is the most popular form of information products. 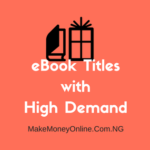 Although, amazon sells ebooks in the form of kindles, many other ebooks in top ebooks markets like clickbank, ejuncky etc. The reason PDF is popular is that its easy to create while the file can be opened by almost all the devices. Buyers can also print out PDF files from their computers. Its very easy to create PDF files from your computer even if you are using windows or Mac. There are many Microsoft word addons to convert file to PDF. I personally use Nitro Pro 8 software to create my PDF files. With this software, you can encript your information products to avoid indiscriminate copying or editing. (2) Videos: Another form of information products are videos. Videos are as powerful as PDF. Video products are preferable of you are selling tutorials, site seeing, cooking tips, yoga guides as well as how-to guides. You can visit YouTube to see things for yourself. A typical video market is udemy.com. There you will find an awesome video tutorials and trainers who are making millions of dollars by just selling videos. Its not hard to create a video product. All you need is to procure video capture devices. These are video camera, lighting systems, audio capture devices and more. Once you setup your mini studio, you then start to create your videos. (4) Audio and Podcast: Many professional online marketers interview experts in their fields and sell the recordings at a very high price. These recording are in the form of podcast. Other forms of audio information products are audio book. Audiobooks are recorded paragraphs of books that buyers only listens to instead of reading it. (5) Apps: Many information products are sold in the form of android or iOS apps. Most of my friends turns their blog to an app while they sell subscription service ton the users. Just like any other business, not all business ideas performs well. So, in information marketing business, you have to invest your time on creating information products that will sell like hotcakes. In simple calculations, the more people who buys your products, the more money you will make. Like I said, do proper research before you create any information product. How large is your potential audience, will people like the topic? How much will be the right price? Answers to these questions will help you to create an information products that will be profitable. (1) Prototype: Visit popular information products store. A typical example is amazon or clikbank. Now search for top sellers in any category of your choice. Top sellers means that there are more buyers. Now, choose a product that you think you can create a prototype of it. Create it with a lot of improvements in it. Make it a bit special than the one you saw. (2) Inspiration: Many information products creator are simply inspired to get a topic that people will want to buy. They get inspiration from their environment, thoughts or feelings. Once you discover a problem in the society, you can create an information products in a bit to solve the problem and sell to those who already needs them. (3) Surveys: Another way to come up with a topic for your information product is by asking. You can ask your friends, relatives, followers about what they will like to buy. In most instance, professional information marketers uses surveys to get responses from their respondents. The result of this survey or questioning will definitely give you a clue about what information products people wants to buy. Apart from creating your information product, there are still many other products out there that you can market and still make money. These products are called private label right. This means that you have the right to resell the products and keep all the profit for yourself. Sometime, you may not be allowed to edit the product or change things are on them. Others are public domains books. You can use them as gift or bonus products, you can use them for optin to download products, you can also sell them for money depending on the copyright terms. (1) Amazon: Amazon is one of the popular information products market. 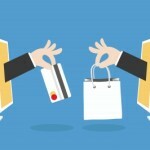 There have millions of customers already who are ready to buy your products there. 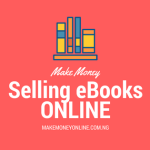 You can convert your eBook to kindle and have access to over 500 million potential buyers. So if you have an interesting information products, head over to Amazon and sell your product. (2) Create your Sales Page: You can create your sales page where you can sell your information products. It can be just one squeeze page and many pages website depending on what you are looking for. Its actually easy to get it done with WordPress where you can easily integrate buy button and online payment system with the help of woocommerce plugin. We have come to the end of this lesson on how to start information marketing business in Nigeria. You can implement these ideas anywhere you are in the world and still make your money. Implement these ideas and tell me how it goes. If you have any question, ask me in the comments section below. I’ll answer them as soon as possible. Cheers! Wow.. this is the first business idea FROM A NIGERIAN & By a Nigerian I’m buying.. simple yet so powerful n effective with realistic prospects..feasible. Thank u bro..thumbs ^^. I think it will be difficult to do this with blogger blog. Just write what will compel the potential buyers to buy from you. Or simple google sales page for blogger, you might get better help. Success! Welcome @adewunmi. Just put to work and you will be happy for yourself. Success! hello, I have a question but am a beginner in laptop,how can I create a website.